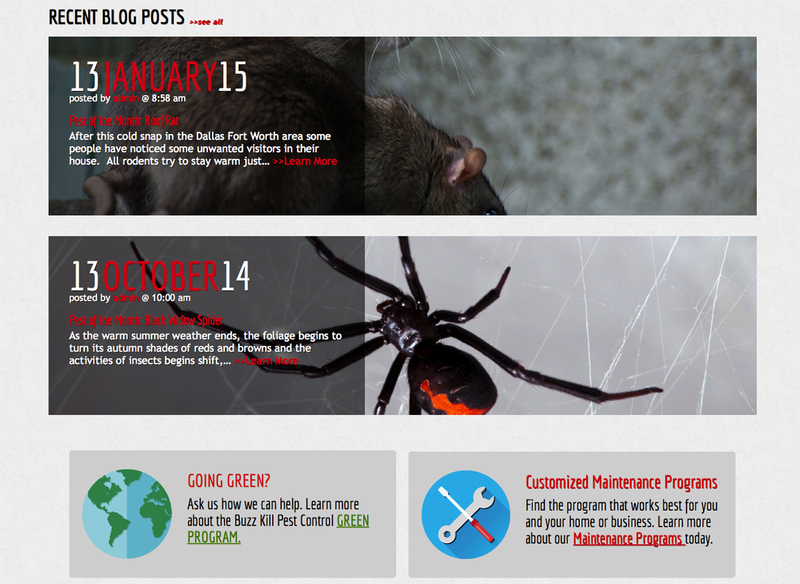 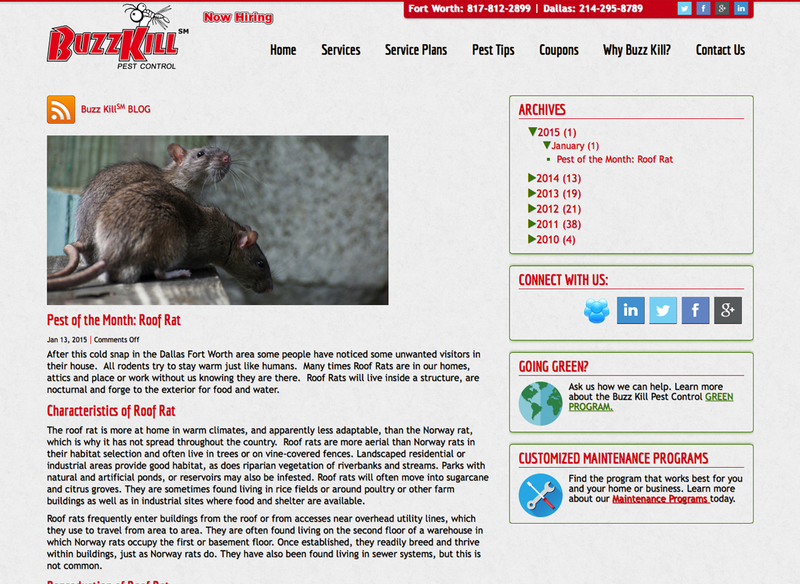 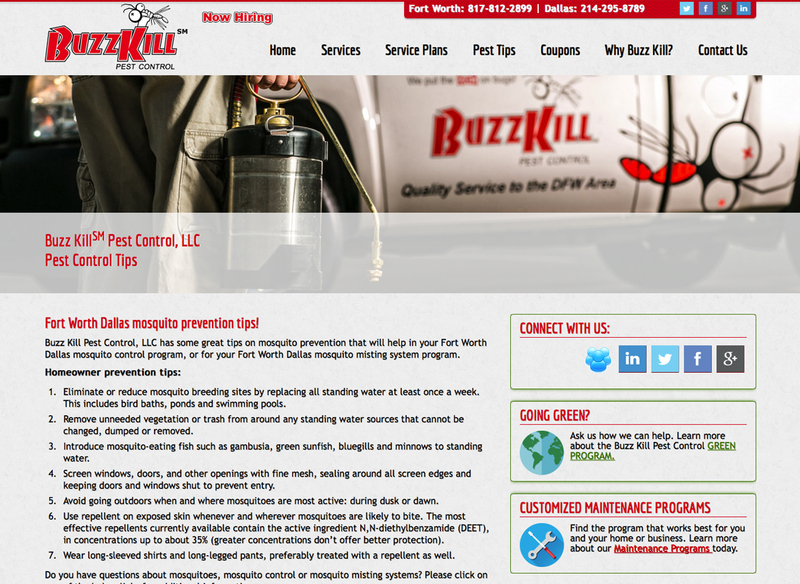 Buzz Kill Pest Control serves the Dallas-Fort Worth area, implementing both chemical and organic (green) solutions in their pest control efforts. 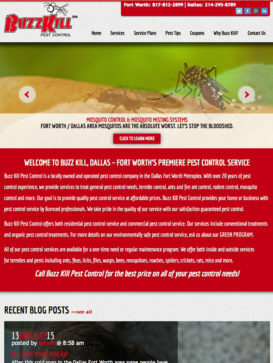 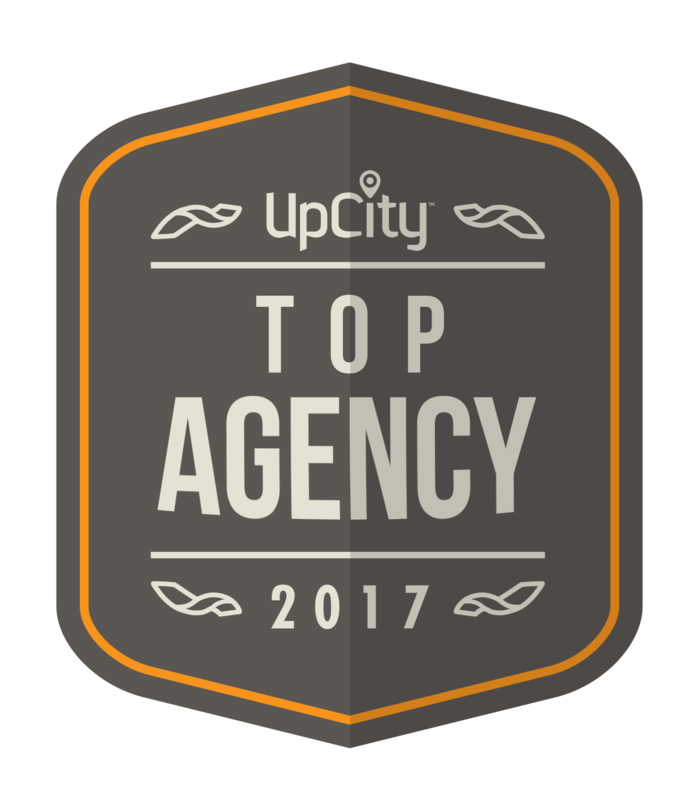 SEO was the primary focus of the website, so several dynamic content areas had to be established, along with an active blog and social media outlets. 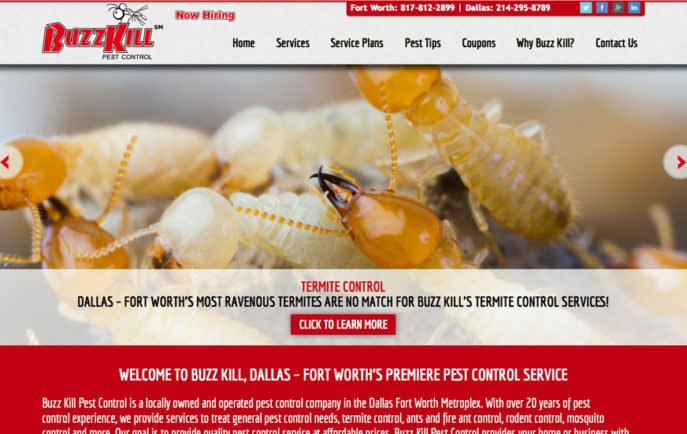 The end result is a frequently updated, screen responsive business site that features a wealth of service information and pest education.